I know 2016 has been a pretty terrible year in terms of, well, most things, but personally I've had a really great year! I expected 2016 to be a pretty nothing year. 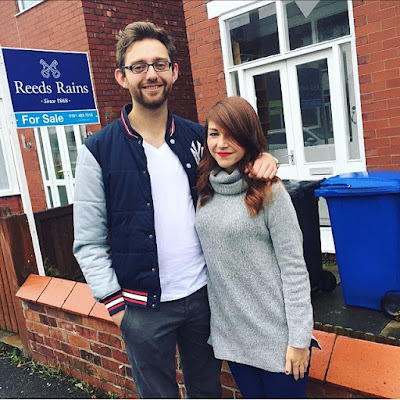 We moved in together in early 2015, and I knew we wouldn't be buying a house until 2017, and I don't think I would have expected to be 8 months into a new job by the end of the year! I think it's only at the end of the year when you look back you realise a year is a really long time! 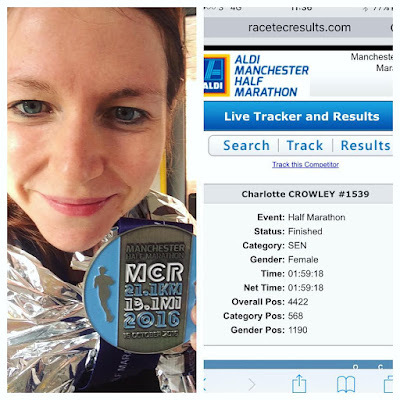 I ran a bloody marathon! I know, I know, I've gone out about this a lot, but I honestly believe training for, and running, that marathon is my greatest achievement. I already can't wait to do another (although with moving into our house next year I think this is going to be a 2018 goal) and have conveniently forgotten the pain of training. Every now and again I still go, "remember when I ran a marathon? A MARATHON?". Yeah, pretty proud of that one. At the end of 2016, Phil was interviewing for a new job but we were a bit in limbo not being sure whether he was going to get the job or not, but in January this year we found out he'd been successful! Phil started at EY in February, and in April I left Axonn for my current role at Stagecoach. I definitely didn't think at the start of 2016 we'd both be in new jobs, but we are definitely much happier as a result! Things aren't moving quite as fast as we would like when it comes to our house but we're hoping to have more of an idea of when we'll be moving in in the new year, but we're really excited to own our own home! I absolutely love our flat and living in the city centre, but it will be so great to have our own place! I've wanted to study for a marketing qualification for quite a few years so I jumped at the chance to start in October. It's the equivalent of a degree so it's hard work, and finding time for 4-6 hours of study a week when working full time and running a home (on top of everything else!) is a struggle, but I know it'll be worth it when I'm qualified! While it might not seem as big of a deal as running a marathon, this was really up there in my achievements this year. I trained so hard, and I did not enjoy any part of those 119 minutes, but I was so unbelievably proud to see that time on my watch when I crossed the finish line! This year I finally got my 50 parkruns tshirt! I'm hoping to get my 100 one in 2017. When you put it like that I've done pretty well, haven't I? Phil and I had a few days away in Dublin in January and it was the best holiday we've ever had the two of us (not bad for £20 return flights!). Then for my birthday, Phil took me away to Birmingham for a spa day, escape room and to see Hans Zimmer. I've been away to Liverpool with Phil and also with my friends, been to Spain twice and had trips to Budapest and Berlin in November. Phew! In my 2016 goals I wanted to read 40 books, but in March I decided to read all of the Game of Thrones books, so I lowered my goal to 30 (I read 32 in the end). Some of my favourites this year were Olive Kitteridge, It, The Shipping News, The Possibilities, Eileen, Wolf Hollow, Rebecca, The Collector and Needful Things. In November Phil and I celebrated 3 years together with a Dominos and a cancelled dinner reservation because Phil was poorly! And you know what, it was perfect. Can't wait to see what year 4 has in store for us! 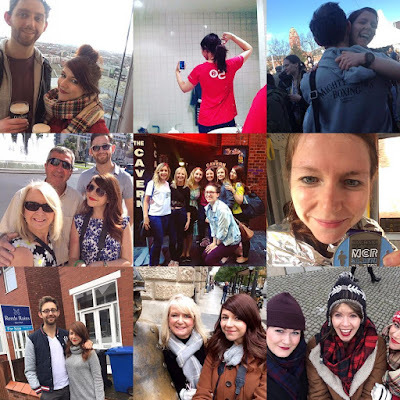 I've loved blogging this year. I think I lost my way a bit last year and I accepted this year that this just isn't a fashion blog anymore and that really gave me freedom to write all the things I'd been wanting to write! I think I've written some of my best content this year and I've been feeling so inspired the last few months - I have so many ideas I can't wait to write about! Stay tuned this week for my 2017 goals!